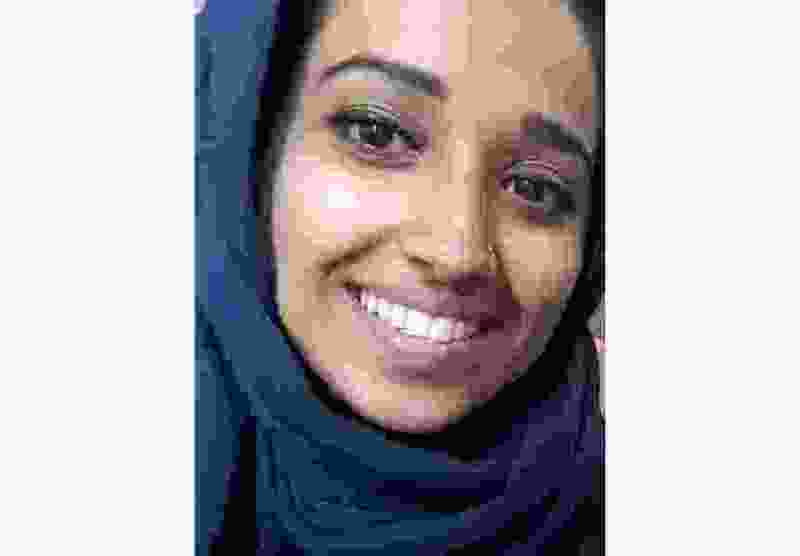 (Hoda Muthana/Attorney Hassan Shibly via AP) This undated image provided by attorney Hassan Shibly shows Hoda Muthana, an Alabama woman who left home to join the Islamic State after becoming radicalized online. Muthana realized she was wrong and now wants to return to the United States, Shibly, a lawyer for her family said Tuesday, Feb. 19, 2019. Birmingham, Ala. • An Alabama woman who left home to join the Islamic State group after becoming radicalized online realized she was wrong and now wants to return to the United States, a lawyer for her family said Tuesday.